L-arginine regulates many diverse metabolic functions, making it one of the most versatile amino acids. For instance, L-arginine serves as the precursor for the synthesis of protein and creatine. L-arginine is also the chief raw material the body uses to make nitric oxide (NO). Nitric oxide referred to as the stuff that promotes the perpetual pump, extends the time frame arteries remain dilated ( widened) to accelerate and ease nutrient and oxygen transport to the muscles. Recent clinical findings reveal that nitric oxide stimulates the synthesis of new mitochondria cells. 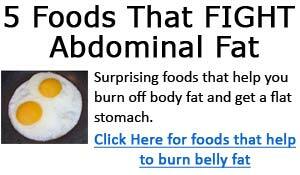 These are the cells known as the powerhouses or internal furnaces where fat burning and energy production take place. From an anti-aging standpoint, having a way to generate more mitochondria cells is paramount, as scientific evidence shows that the production of these dynamic energy producing cells decline with age. Sports physiologist now know this also occurs as a direct result of exercise induced trauma to muscle tissue. Nitric oxide neutralize free radical activity that damage cells, as well as muscle tissue. In addition to the above, anaerobic muscle energy relies on ATP (adenosine triphosphate) production and recreation every minute of every day. As NO improves blood flow, the rush of creatine , the stuff that powers your muscles is also enhanced, thus restoring and regenerating more ATP, quickly and efficiently. Furthermore, L-arginine derived nitric oxide triggers the pituitary gland into releasing human growth hormone (HGH), the muscle growth and repair enhancing compound. Considered the elixir of life NO molecules appear and perform their function in about 10 seconds. Due Because of this , researchers have searched for ways to prolong or increase the production of NO. This has lead to scientific research which revealed that L-norvaline , a derivative of L-valine one of the three branch chain amino acids, inhibits the actions of the enzyme arginase that prevents the production of nitric oxide. Present data shows that L-norvaline, a modified form of the branch chain amino acid valine, enhances muscle strength, growth and dramatically improves muscle endurance. Although L-norvaline isn’t directly involved with protein synthesis, it promotes growth as a direct result of its inhibitory actions of arginase. Simply put, L-norvaline can extend or prolong the activity of L-arginine and other precursor metabolites (spare parts) that promote nitric oxide production. In fact, studies conducted at the Department of Medical Physiology and Microcirculation at Texas A&M University, researchers reported that L-norvaline by inhibiting arginase activity increased nitric oxide production by 55%. These researchers concluded that this regulatory mechanism of L-norvaline could be very important to nitric oxide synthesis, especially when the cellular supply of L-arginine starts to get low. Conversely, L-arginine can be metabolized (broken down) by arginase which also induces and increase production of L-ornithine and urea. However, when L-norvaline was introduced during heightened arginase activity, researchers at the University of New Mexico’s Vascular Physiology Group found that nitric oxide production increased with decreased urea production by 50%. Why it this important? Well, although L-ornithine is important to the formation of urea, basically urea is a waste product and is something you want to minimize the proliferation of. The more this cycle (urea) dominates as a result of arginase activity, the more ammonia and other muscle wasting by products and cell toxicity occurs, lean tissue development and repair declines. The other side of this axiom in reference to the increased production of the amino acid L-ornithine is the comparable identical structure and function of L-arginine. L-ornithine like arginine promotes growth hormone production, body fat reduction and minimizes muscle fatigue. In practical terms here data suggest that L-norvaline intercedes and shifts the catabolic urea cycle to a growth or restorative phase by enhancing the production of L-ornithine, as well as regulating it’s production of urea. Lastly, present data confirms that high glucose levels increase arginase activity, by disrupting proper cellular communications. This process is inhibited by L-norvaline, as it accelerates amino acid and glucose transport in both endothelial ( cells which line the interior surface of blood vessel )) and smooth muscle tissue. Essentially , L-norvaline intercedes and squashes cellular smoke signals that increase arginase activity, by literally moving glucose into tissues, thus improving its synthesis and supplying additional fuel to your hard earned muscle tissue. L-norvaline is a very concise example of how the presence of the right nutrient at the right time exudes it’s anabolic authority. It appears that it is faster than a speeding bullet, smarter than untruthful corrupt cellular communication systems and is able to leap towering catabolic roadblocks with ease. There appears to be no half stepping in L-norvaline’s quest to preserve muscle tissue and the correct physiologic anabolic way to build and preserve it! Campbell, B.I., La Bounty, P.M., Roberts, M. The ergogenic potential of arginine. Journal of International Society of Sports Nutrition. 2004 Dec; 1(2): 35-38. Chicoine, L.G., Paffett, M.L., et. al., Arginase inhibition increases nitric oxide production in bovine pulmonary arterial endothelial cells. American Journal of Physiology and Lung Cell Molecular Physiology. 2004 Feb; 287: L60-L68. Chiung, C.I., Liao, J.C., Kuo, L. Arginase modulates nitric oxide production in activated macrophages. American Journal of Physiology and Heart Circulatory Physiology. 1998 Jan; 274(1): H342-H348. Cruz, C., Egsgaard, H., et. al., Enzymatic evidence for the key role of arginine in nitrogen by arbuscular mycorchizal fungi. Plant Physiology. 2007 June; 144(2): 782-792. Greer, B., Woodward, J., et. al., Branched chain amino acid supplementation and indicators of muscle damage after endurance exercise. International Journal of Sports Nutrition and Exercise. 2007; 17: 595. Ishi, N., Ikenaja, H., et. al., High glucose augments arginase activity and nitric oxide production in the renal cortex. Metabolism. 2004 July; 53(7): 868-874. Isidori, A., Lo Monaco, A., et. al., A study of growth hormone release in man after oral administration of amino acids. Current Medical Research and Opinion. 1981; 7: 475-481. Morris, S.M. Arginine metabolism: boundaries of our knowledge. American Society of Nutrition. 2007 June; 137: 1620S-1609S. Staedt, U., Leweling, H., et. al., Effects of ornithine aspartate on plasma ammonia and plasma amino acids in patients with cirrhosis: a double blind randomized study using a four-fold crossover design. Journal of Hepatology. 1993 Nov; 19(3): 424-430. Van Rijn, J., van den Berg, J., et. al., Changes in ornithine cycle following ionizing radiation cause a cytotoxic conditioning of the culture medium of H35 hepatoma cells. British Journal of Cancer. 2003 Feb; 88(3): 447-454.